Best-Rite's Vin-Tak Bulletin Board with Aluminum Trim is an attractive and easy-to-maintain board for displaying notes, artwork, awards and more. This popular bulletin board features a fabric-backed vinyl surface that is treated to resist the growth of odor- and stain-causing microbes. Simply wipe the surface clean with a damp rag to keep your board looking new. Choose from several vinyl colors to match your decor. Features an attractive anodized aluminum frame with safe, rounded corners. Best-Rite's 4'H x 8'W Vin-Tak Bulletin Board with Aluminum Trim is GREENGUARD certified and TAA compliant. Backed by a 10-year warranty. Best-Rite's Vin-Tak Bulletin Board with Aluminum Trim is an attractive and easy-to-maintain board for displaying notes, artwork, awards and more. This popular bulletin board features a fabric-backed vinyl surface that is treated to resist the growth of odor- and stain-causing microbes. Simply wipe the surface clean with a damp rag to keep your board looking new. Choose from several vinyl colors to match your decor. Features an attractive anodized aluminum frame with safe, rounded corners. Best-Rite's 4'H x 6'W Vin-Tak Bulletin Board with Aluminum Trim is GREENGUARD certified and TAA compliant. Backed by a 10-year warranty. Best-Rite's Vin-Tak Bulletin Board with Aluminum Trim is an attractive and easy-to-maintain board for displaying notes, artwork, awards and more. This popular bulletin board features a fabric-backed vinyl surface that is treated to resist the growth of odor- and stain-causing microbes. Simply wipe the surface clean with a damp rag to keep your board looking new. Choose from several vinyl colors to match your decor. Features an attractive anodized aluminum frame with safe, rounded corners. Best-Rite's 4'H x 5'W Vin-Tak Bulletin Board with Aluminum Trim is GREENGUARD certified and TAA compliant. Backed by a 10-year warranty. Best-Rite's Vin-Tak Bulletin Board with Aluminum Trim is an attractive and easy-to-maintain board for displaying notes, artwork, awards and more. This popular bulletin board features a fabric-backed vinyl surface that is treated to resist the growth of odor- and stain-causing microbes. Simply wipe the surface clean with a damp rag to keep your board looking new. Choose from several vinyl colors to match your decor. Features an attractive anodized aluminum frame with safe, rounded corners. Best-Rite's 4'H x 4'W Vin-Tak Bulletin Board with Aluminum Trim is GREENGUARD certified and TAA compliant. Backed by a 10-year warranty. Best-Rite's Vin-Tak Bulletin Board with Aluminum Trim is an attractive and easy-to-maintain board for displaying notes, artwork, awards and more. This popular bulletin board features a fabric-backed vinyl surface that is treated to resist the growth of odor- and stain-causing microbes. Simply wipe the surface clean with a damp rag to keep your board looking new. Choose from several vinyl colors to match your decor. Features an attractive anodized aluminum frame with safe, rounded corners. 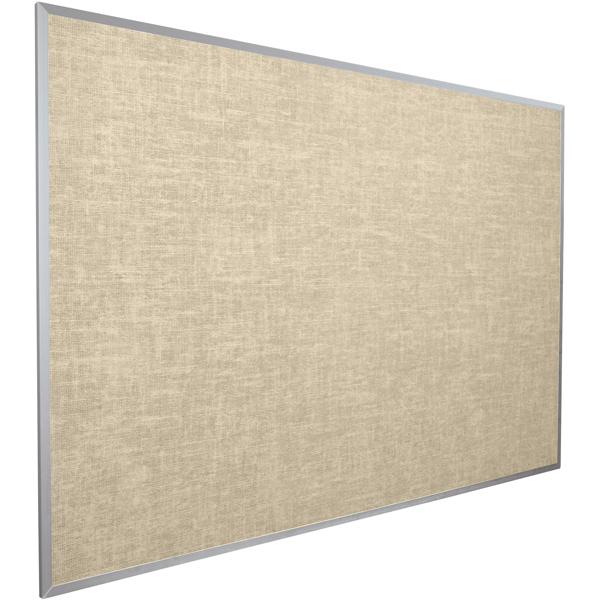 Best-Rite's 2' 9 3/4"H x 4'W Vin-Tak Bulletin Board with Aluminum Trim is GREENGUARD certified and TAA compliant. Backed by a 10-year warranty. Best-Rite's Vin-Tak Bulletin Board with Aluminum Trim is an attractive and easy-to-maintain board for displaying notes, artwork, awards and more. This popular bulletin board features a fabric-backed vinyl surface that is treated to resist the growth of odor- and stain-causing microbes. Simply wipe the surface clean with a damp rag to keep your board looking new. Choose from several vinyl colors to match your decor. Features an attractive anodized aluminum frame with safe, rounded corners. Best-Rite's 2'H x 3'W Vin-Tak Bulletin Board with Aluminum Trim is GREENGUARD certified and TAA compliant. Backed by a 10-year warranty. Note: Cotton, Gray and Pacific Blue vinyl boards ship within 1 week. All other colored board ship within 3 weeks. Best-Rite's Vin-Tak Bulletin Board with Aluminum Trim is an attractive and easy-to-maintain board for displaying notes, artwork, awards and more. This popular bulletin board features a fabric-backed vinyl surface that is treated to resist the growth of odor- and stain-causing microbes. Simply wipe the surface clean with a damp rag to keep your board looking new. Choose from several vinyl colors to match your décor. Features an attractive anodized aluminum frame with safe, rounded corners. Best-Rite's 18"H x 24"W Vin-Tak Bulletin Board with Aluminum Trim is GREENGUARD certified and TAA compliant. Backed by a 10-year warranty. Best-Rite's Vin-Tak Bulletin Board with Aluminum Trim is an attractive and easy-to-maintain board for displaying notes, artwork, awards and more. This popular bulletin board features a fabric-backed vinyl surface that is treated to resist the growth of odor- and stain-causing microbes. Simply wipe the surface clean with a damp rag to keep your board looking new. Choose from several vinyl colors to match your decor. Features an attractive anodized aluminum frame with safe, rounded corners. Best-Rite's 4'H x 12'W Vin-Tak Bulletin Board with Aluminum Trim is GREENGUARD certified and TAA compliant. Backed by a 10-year warranty. Best-Rite's Vin-Tak Bulletin Board with Aluminum Trim is an attractive and easy-to-maintain board for displaying notes, artwork, awards and more. This popular bulletin board features a fabric-backed vinyl surface that is treated to resist the growth of odor- and stain-causing microbes. Simply wipe the surface clean with a damp rag to keep your board looking new. Choose from several vinyl colors to match your decor. Features an attractive anodized aluminum frame with safe, rounded corners. Best-Rite's 4'H x 10'W Vin-Tak Bulletin Board with Aluminum Trim is GREENGUARD certified and TAA compliant. Backed by a 10-year warranty. Display artwork, notes, awards and more on MooreCo's popular Vin-Tak Bulletin Board with Aluminum Trim. This attractive and easy-to-maintain bulletin board features a fabric-backed vinyl surface that is treated to resist the growth of odor- and stain-causing microbes. Simply wipe the surface clean with a damp rag to keep your board looking new. Choose from several vinyl colors to match your decor. Features an attractive anodized aluminum frame with safe, rounded corners. MooreCo's Vin-Tak Bulletin Board with Aluminum Trim is GREENGUARD certified and TAA compliant. Backed by a 10-year warranty. Ordering online is safe and easy, but our customer service team is also happy to assist you. Give us a call at (877) 839-3330.